When you have been injured in an accident, you may wonder if your claim necessitates a call to a personal injury attorney in Orange County. 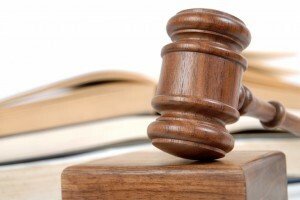 While it is true that some small claims may be able to be settled without the help of a lawyer, if your claim involves your having missed more than a few days of work, several thousands of dollars in expenses, or debilitating injuries, it will be best if you retain an attorney to help you. There are a number of stages you can expect your case to go through, and this will provide you with information regarding what you can expect following your accident. The most important thing to do after you have been injured is to seek medical help. You can either go to a hospital or to your doctor’s office. If you fail to do so, it is possible that your insurance company and a jury will both assume you really weren’t hurt in the accident after all. After you have sought medical help, your next step is scheduling to meet with an Orange County injury attorney. Getting an attorney’s help early is vital to proving your case. It is thus important for you to be careful in your selection, and so you should seek consultations with more than one attorney. After you have done so, you should choose the attorney that you feel is best for you. Your attorney will draw up a fee agreement and explain the different types of fee arrangements that are available. After you sign the fee agreement, your attorney will commence their work on your behalf. After retaining a lawyer, have him or her thoroughly investigate the facts of your case and review all of your medical records. As a part of this process, your attorney will conduct an in-depth interview of you regarding your injury, history, medical information, any medical conditions, and the treatment you are receiving. In order to assist your attorney in preparing your case, you should be completely truthful and provide detailed responses to your attorney’s questions. Your lawyer will obtain your medical records from all offices and hospitals where you have received treatment. You will also need to provide your attorney with copies of all of your bills related to the accident. The process of obtaining medical records may take several months. After your attorney receives all of the information, they will then carefully review them. In the event that the attorney determines that you do not have a case after reviewing your medical records, they will inform you of that fact. Such a determination is normally communicated quite early on in the process. If your attorney determines that you do have the basis for a claim, they will then proceed to the next step. If a review of your records demonstrates that your injury claim is a smaller one, your attorney may send a demand letter on your behalf. In many cases, a settlement is able to be reached in a smaller case without a lawsuit ever being filed. If your case is a larger one in which your attorney does not believe a settlement will be possible, they will file a civil complaint to initiate your civil lawsuit. Claims involving permanent injury should not be settled prior to suing. Claims also should not be filed until you have reached a stage called maximum medical improvement, or MMI, because filing before you have reached MMI could lead to an undervaluing of your actual damages. Your attorney will file the civil complaint, a document in which your claims are detailed. This will commence the actual trial case. Your attorney will make certain to observe the state’s statute of limitations, which are laws providing that suits must be filed within a certain time after an injury or a person’s ability to sue will be forever barred. After your lawsuit is filed, your attorney will begin the discovery phase. You can expect your attorney to depose witnesses, send requests for documents from the defendant’s attorney, and send interrogatories that the defendant will be required to answer. When depositions begin, you should expect that both you and the defendant will be required to answer questions from both your attorney as well as the defendant’s attorney under oath. In addition to you and the defendant, all other witnesses will also be deposed. In total, the discovery phase can last between anywhere from six months up to a year. Your personal injury attorney in Orange County might be able to reach a settlement with the defendant’s attorney and insurance company through negotiating directly with them. In other cases, the complexities will require mediation, an alternative dispute resolution method aimed at facilitating a settlement agreement. If mediation leads to an agreement, your case will end at this stage. In the event you are unable to reach an agreement, a trial will be set. You should expect your trial to last anywhere from one day to weeks, depending on how complex it is. You should understand that your case may be rescheduled to a different trial date. Judges often reschedule trials due to their own trial calendars. If you have been seriously injured due to the negligence of another, it is important that you seek help as soon as possible. It is important not to just simply settle with the other person’s insurance company, as insurance companies will attempt to minimize their losses. Your injuries may also require treatment that is ongoing, so you will need someone to evaluate your damages, both currently as well as into the future. Call for an appointment with a personal injury attorney in Orange County at the office of Russell & Lazarus APC at (949) 851-0222.